I haven’t slept well the past several days. Darwin had a urinary tract infection, on top of kidney failure, which led to many unpleasant accidents that may have occurred on my lap…while I was sleeping. I’ve been peed and puked on way too many times before this baby has arrived. I know, TMI, but I’m just being honest here 🙂 Throw in a super active baby lately and when I finally have the opportunity to sleep, someone is waking me up from the inside. Needless to say, I’m a zombie and I spent the weekend cleaning and organizing some baby stuff that we’re borrowing from my brother and sister-in-law. I felt very accomplished and feel much better about life (and Darwin started some antibiotics and has been accident free, whew!) But, it leaves you with a post full of randomness. Because that’s what’s going on in my head today! 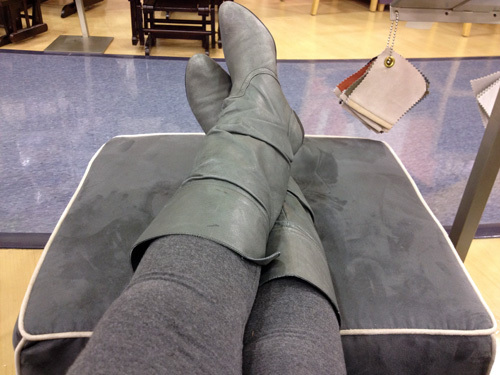 Yes I was wearing gray leggings and gray boots while sitting on a gray chair. At least now I have a good idea of the color and I might be carrying around my leggings as a swatch. Speaking of swatches, in the background are all of the other colors the chair comes in. I think we’re going to go for it, I’m just scoping out coupons and hoping for a Presidents’ Day sale. Isn’t she pretty? 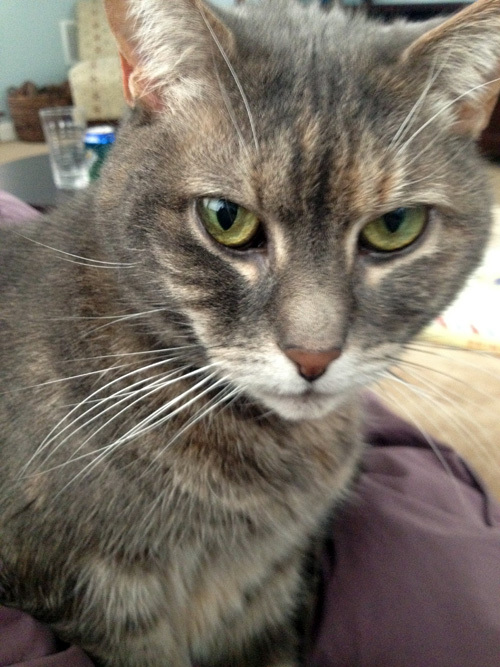 She’s not often seen around here, as she normally resorts to a mean face when the camera comes out. Plus she’s often in the shadow of her two special needs brothers, though she gets plenty of loving. She’s my constant sidekick (sitting with me at the moment). I wonder if she knows how chic her gray coat is these days? Yes I know it’s early, but the box it came in was so obvious that I knew what it was when it arrived today. I wanted one last year, but this adorable video won me over. The only way I managed to keep my head on straight through school, doctor’s appointments, work and blog posts in the fall was constant planning. I pretty much plan out my weekdays from 7am until 10pm in order to get everything done. I try to save Friday night for down time (but it usually turns into running errands) and weekends for doing projects. 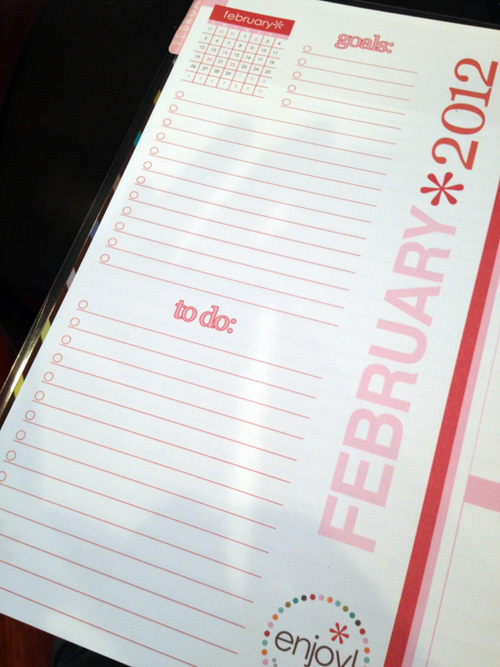 This planner has days broken into morning, day and night so I no longer have to cram things into one little box that I normally wrote on the top and bottom of. Michelle from Ten June also has one and she gave a nice little rundown of the features here. 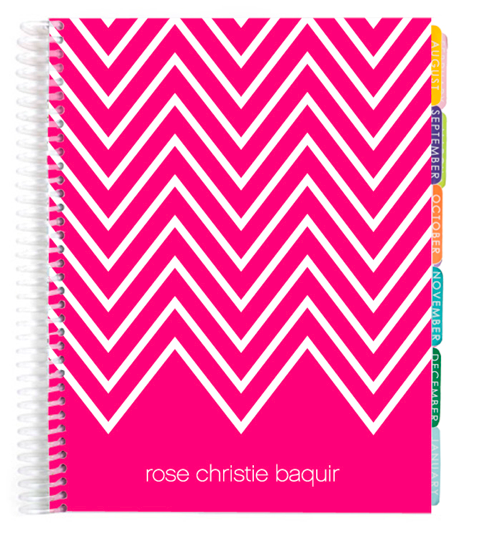 thanks for including us in your great post and we’re thrilled that you love your planner! enjoy! I’m not certain the place you’re getting your info, but good topic. I needs to spend some time studying more or understanding more. Thanks for great info I was searching for this info for my mission.